What happens on the other side of life? Author Bruce Moen continues to bring us evidence that physical death is just a momentary event in our eternal consciousness as he explores life after death in this, the third book in his Exploring the Afterlife series. Using groundbreaking techniques developed by Robert A. Monroe--author of the classic Journeys out of the Body and founder of The Monroe Institute--Moen projects himself out of his body to travel beyond death into new realms of existence. His travels allow him to access knowledge available only to out-of-body explorers. With Moen, you will journey to the center of the Earth, develop a unique understanding of how astrology really works, and even make contact with extraterrestrials. But more fascinating--and empowering--is his glimpse of the community of souls, his explorations of nonphysical environments, and his growing understanding of what he has witnessed. 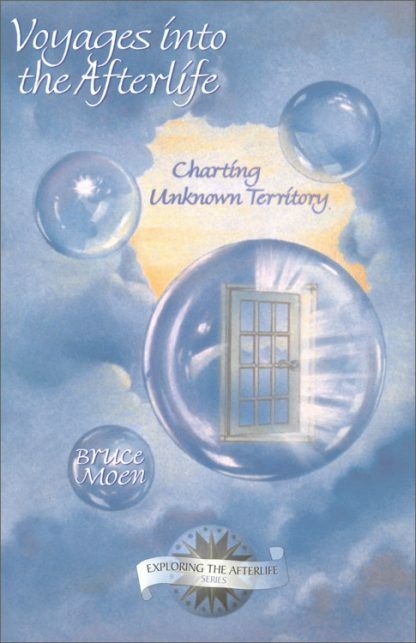 Read Voyages in the Afterlife: Charting Unknown Territory and learn, along with Bruce Moen, the nature of the cosmos and our place in it.